Microsoft revealed their new OS, Windows 10 in an event held in San Francisco and the only question that everyone has in their mind is, what happened to Windows 9? Nothing. 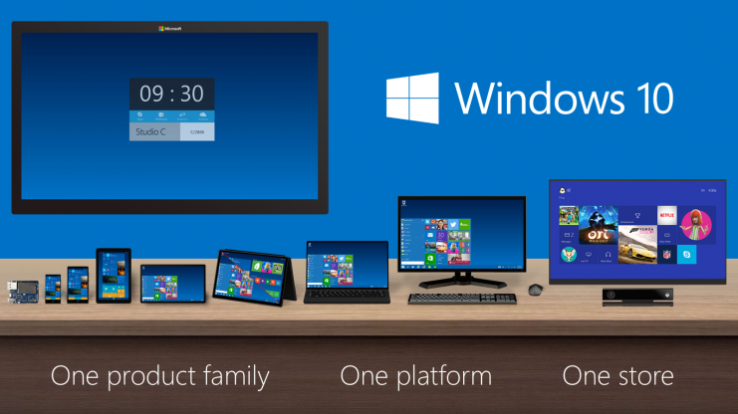 Windows 9 is now Windows 10. Microsoft has stated that their new OS is such a departure from the beleaguered Windows 8, they felt it’s not worthy of having the number 9 in it. I know I should be writing about the features of windows 10 but the switch changes things a little bit. But this isn’t something uncommon. Microsoft hasn’t had a very inconsistent naming pattern of their OSes. They started with Windows 1 went up to 3, then realized the next versions should be named according to the year of release with 95 being the first followed by 98 and 2000 and shifted again to ME, XP (long live XP) and Vista. Windows 7 became the answer to the fiasco that was Vista, followed by the Windows 8, probably the most confusing OS to the general consumers, ever. Windows 9 has been in development for a while, an answer to the faux-tablet-PC OS of 8 that had everyone frustrated, allegorically the 7 to the Vista. Microsoft felt like the new OS was such a departure from 8 that 10 was a more apt digit. If you have missed the show, you can watch it below. History lesson aside, if you want to test out Windows 10, you should be running Windows 8 and sign up for it here to test the Enterprise Technical Preview and receive updates as well. It would also be possible to leave feedbacks before the original version is released next year. What matters are the features that are engraved in the OS. 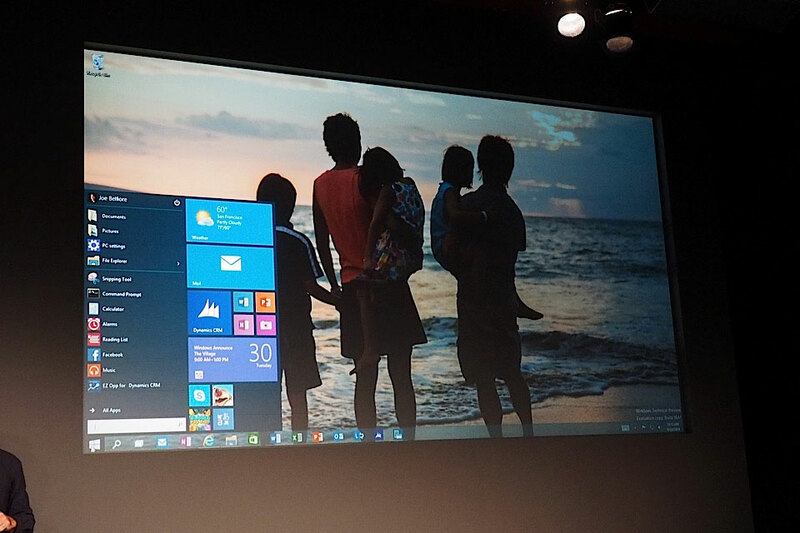 From what we have seen, Windows 10 should have been Windows 8. Three years back, as the software giant continued to struggle against the dominance of Google’s Android and Apple, they came up with Windows 8 to introduce major changes in the OS which was very different from the previous version. The overhaul however failed to impress the users, primary for the confusion that was the star screen, and business who felt the software wasn’t up to the mark leaving most of them to downgrade. Even I did. It’s kinda funny how in the last operating system, Microsoft focused heavily on the Start Screen no one liked, and with this next iteration, the revamped Start Menu and the lack of the Screen is all everyone can talk about. With Windows 10, Microsoft aims to change all that and ensure the Windows user will not be disappointed with the new release. The taskbar has also been refreshed as it comes with a new task view showing all the apps that are running not only on your computer but other virtual desktop as well. For those who spend time in MS DOS, good news for them as Microsoft has improved it by allowing users to use keyboard shortcuts as well as copy and paste. The series of live tiles have now been shifted in the start menu at the right side with the usual way of pinned and frequent apps that is in Windows 7. It basically provides a preview of the apps instead of just the icons. There’s also the provision for resizing the start menu and the tiles as well. What’s best according to Microsoft is that the user can be able to expand the menu all the way from one end of the monitor to the other. Apart from other tid bid features, Microsoft was reluctant to show Windows 10 fully and promised to show it off gradually. What I loved about the OS is the compatibility as it would dynamically adjust with different modes. Let’s hope Windows 10 will be blast! Ever since Windows 7, I have no plans of upgrading my operating system. It might be an improved version of Windows 8 but still the usability issues is still there.